Do you need a truth to help instill the Christmas spirit this year? This one leaves me in awe and prompts worship of my Savior, and instills greater appreciation for His birth and death. I’ll never be smart enough to fully grasp that God saw the need for our salvation, and planned a means for accomplishing it, before time began. The phrase “from all eternity” literally means “before times of ages,” or “before time began.” According to commentator William Hendriksen, considered one the best scholars on 1-2 Timothy and Titus, “Before time began we were already included in the gracious purpose of God.” Wow–think of it! God’s plan of redemption was already mapped out before Creation! Revelation 13:8 puts a cap on this perspective. A widely-accepted translation of this verse refers to the Lamb (Christ) “who was slain before the foundation of the world.” As the late pastor Ron Dunn put it in his remarks on this verse, “Before there was a garden in Eden, there was a cross on Calvary!” Dunn called this “God’s Law of Provision.” God provided for our need before the need existed. If you know Christ personally, don’t gloss over this truth, even if it is difficult to understand. Let it sink in that God provided for your sin before you existed. Here is a poem I wrote many years ago to try to capture this truth. I used a poem on this truth in a post last December, but this is a different poem to try to convey the same perspective. Joseph’s eyes were glued to where his infant lay. He couldn’t hide his grin, or keep his pride at bay. He anticipated joining Jesus at play. Another Father would turn His face away. Mary heard him wail; saw His face turn red. She heard Him coo after He’d been fed. Used her palm to support His fragile head. Caressed the flesh that Roman spikes would shred. Flailing limbs, wrinkled olive skin. She tickled His tummy for a face-splitting grin. who would die on a cross to become our High Priest. God had fulfilled His long-standing vow! 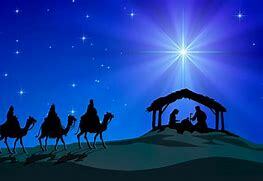 Shepherds, kings, and wise men came to bow. They saw the prophets’ promise existing in the now. Did they see drops of blood trickling from His brow? nations and families? Each would choose a side. To divine instructions, Joseph had complied. Did he know his baby had already died? Be sure to use dry logs in your fireplace this December.